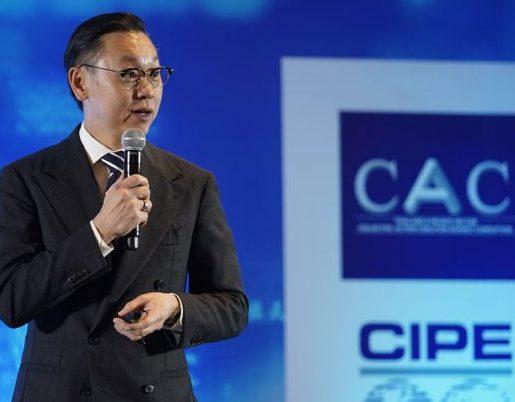 Thailand’s Private Sector Collective Action against Corruption (CAC) is an initiative by the Thai private sector to take parts in tackling corruption problem via collective action. The CAC aims to bring effective anti-corruption policy and mechanism into implementation by companies in order to create an ecosystem of clean business community. The CAC was co-founded by the country’s eight leading organizations in the private sector including the Thai Chamber of Commerce, the Joint Foreign Chambers of Commerce in Thailand, the Thai Listed Companies Association, the Federation of Thai Industries, the Federation of Thai Capital Market Organizations, the Thai Bankers’ Association, the Tourism Council of Thailand, and the Thai Institute of Directors Association (IOD), which also serves as its secretariat and takes a leading role in driving the program. The CAC’s operations are sponsored by U.S-based Center for Private Enterprise (CIPE) and the U.K. Prosperity Fund. Is CAC a government organization? CAC is founded and represented by private companies and is not part of any government. CAC reviews members checklist documentations and provides certification based on published standards derived from Transparency International guidelines. CAC do not certify the behaviors of the employees nor that the companies will not engage in bribery. Does CAC work with other anti-corruption bodies or entity? The CAC works in parallel and co-ordinate closely with the government’s National Anti-Corruption Commission (NACC) and the Anti-Corruption Organization (Thailand), which handles the civil society front. Moreover, the CAC also exchanges anti-corruption knowledge and experiences with international agencies regularly. How to start the process of joining CAC? • Companies wishing to join CAC starts with registering and submitting Declaration of Intent online via CAC’s website. The Declaration of Intent needs to be signed by the Chairman of the Board. • CAC will process the submitted Declaration of Intent and will reply within approximately 2 weeks. • There is no cost to Declare Intentions. What is the Declaration of Intent? A Declaration of Intent is a document outlining the declaration of SMEs to support the coalition in reducing corruption and responsibilities that the company will agree to accept. The Declaration of Intent also outlines working principals of CAC as well the Incident Management process. Companies are required to have their Chairman of the Board sign the Declaration, which will also kick off the 18 months preparation process for certification. A sample of the Declaration of Intent can be found here. How is the Declaration of Intent part of the certification process? Declaration is the first step in getting certified as CAC member. It formally communicates the intention of company to participate in the Coalition. The Declaration also kicks off the 18-month deadline for companies to submit documents to CAC for Certification. For SMEs, this 18-month deadline also includes having the assigned Independent Auditor review and approve all 17 checklist documents. How do I submit the Declaration of Intent? The Declaration sample can be viewed in Join Us page under Process Overview. After registering, members will be able to download the Declaration of Intent for signature. What do I do after submitting the Declaration of Intent? Companies that have submitted the Declaration of Intent will have 18 months to apply for certification. If the company cannot submit checklist documents within 18 months, the company will be given a “Blackout” status and will have to wait 6 months to re-submit the Declaration of Intent. Who's signature is required to sign the Declaration of Intent? The signature of the company’s Chairman of the Board is required. Can our group of company join the project by signing only one Declaration of Intent? CAC will certify companies based on individual business entity. Therefore, each of the companies, affiliates or subsidiaries must submit their own Declaration of Intent and documentation for certification. However, the companies my use the same auditing committee or external auditors. Can we just sign the Declaration of Intent but not engage in the certification process? Once companies submit the Declaration of Intent, they will have 18 months to decide, prepare and submit documents for certification. If the company chooses not to apply for certification or cannot submit documentation within 18 months, the company will be given a “Black out” status. Companies with Black out status must wait 6 months before rejoining. How long will companies have to prepare for certification after Declaring Intentions? Companies will have 18 months starting from the Declaration date until all documents are approved by the Independent Auditor and submitted to CAC. Exceptions may be granted on a case-by-case basis. How do I calculate the 18 month submission deadline. Does it include public holiday? Companies can check their submission deadline on CAC’s website. The 18-month duration is calculated based on calendar days and includes public holiday. When can I submit the documents for certification? Companies can submit checklist documents after submitting the Declaration of Intent until the 18 months deadline. CAC will review the documents quarterly and the cut of period for each quarter is the 15th of last month of each quarter e.g. 15th of March, 15th of June, 15th of September and 15th of December. If my company cannot submit documents within 18 months, can I seek an extension from CAC? CAC may grant a one-time 6-month extension. If after the 6-month extension, the company still cannot submit the documents, the company will be given “Blackout” status and will be required to wait 6 months before re-submitting the documents. How can I submit documents to CAC? Documents can be submitted online in Join US/Get Certify page. What is the expense of getting certified? For large companies using 71 checklist, the expense is 8,000 baht, which is due after all the documents have been submitted to CAC. SMEs will have the expense of contracting own Independent Auditors to verify the checklist documents. CAC estimate work to be between 3-5 days depending on the complexity of business and quality of the prepared documents. This may translate to about 25,000-50,000 baht in fees. CAC also charges 4,000 baht for SME certification, which covers the manhours for CAC staffs to review the submitted documents, for CAC Certification Committee to certify the submission and for upkeep of the website used for document submission/e-learning. Once SMEs have uploaded the documents, SMEs can email CAC to issue an invoice for payment. Can we send draft of checklist documents for CAC to review before submission? No, but CAC hosts Road to Certify events, which Company representatives can attend and ask questions about document preparation. What will I know the outcome of my certification? CAC will announce the result of the company’s submission within the following quarter unless the documents are found to be insufficient according to CAC’s guidelines. Companies will be notified to make a one-time correction and resubmit. If the resubmission still does not meet CAC’s requirements, the company will have to make changes and wait for certification in the proceeding quarter (as long as the timing do not exceed the 18 months deadline). What is the process to renew certification? Certification from CAC is good for 3 years. Companies that would like to renew will have to submit checklist documents no later than 3 months before the deadline of expiration. Renewing companies do not have to resubmit their Declaration of Intent. How do we submit checklist documents to CAC? Companies can submit documents via CAC’s website. Registration online is required. Yes, for clarity, the Anti-corruption policy needs to be separated. Yes. In order to align the organization with the (new) procedures, approval from the Board must be received. Requesting approval will also help raise awareness of the Board and management on the new procedures and related activities. Companies will need to first assess risks with bribery and corruption that may result from the business or operational activities. Only bribery and corruption risks is to be submitted and not fraud, compliance or asset misappropriation risks. After the risks are identified, each of the risks must be scored in terms of Impact and Likelihood. The overall risk score is then calculated and used to rank for high risks. What is company’s responsibility after receiving certification? Once CAC has approved certification, CAC will invite representatives from the company to attend CAC’s award ceremony, which is held twice per year. The role of CAC certified companies to continue monitoring the established risks and controls to make sure they are current and effective towards current and new risks. New controls must be approved and communicated accordingly. Companies need to apply for recertification 3 months prior to the 3-year expiration. My company has previously submitted the Declaration of Intent in the 71 checklist program, can the company switch to apply for the SME's 17 checklist certification? Yes, if your company meets the 3 SME criteria. Your company do not need to resubmit the Declaration of Intent. However, the 18-month deadline will still be the same, starting from the original Declaration date. Is the use of CAC’s online Anti-bribery training mandatory? When was the SME Certification Program launched? The SME Certification Program was launched in January 2018. The first SME Executive Briefing was held on 14th February 2018. What is CAC’s definition of SME? Have annual revenue less than 1 billion baht. Can SMEs apply for certification using process for large companies? Yes, SMEs have the option to choose between the 71 checklist certification for large companies or the 17 checklist certification for SMEs. What are the qualifications for an Independent Auditor? For the SME Certification, CAC will accept auditors with the one of the following qualifications. Any auditors that meet any of these qualifications must enroll and pass CAC’s Independent Auditor training first. Accounting auditors that have been approved by the S.E.C. Note: Independent Auditors in 2. and 4. must submit evidence of qualification to CAC prior to attending CAC Internal Auditor Training. Why do SME's Independent Auditors required to attend CAC's Independent Auditor Training? The training is focused on helping the auditors understand the 17 checklist requirements in detail and how to assess the submitted documents online using CAC’s website. Is there cost for attending CAC's Independent Auditor Training? The cost to attend the training is 5,000 baht.